Washington, D.C. takes on the ever-important task of being the epicenter of political discourse in the United States. Everybody living in the capital has an opinion on every conflict, and this dichotomy spreads throughout the city and the nation through a medium of political bipartisanship. It seems as though the nation has acquired a reputation in recent months as being ever-divided between being either a Democrat or a Republican. While this phenomenon is present throughout the States, it’s incredibly visible in the capital. Tourists and residents alike wear their political ideologies on their sleeves, quite literally. Most importantly, this wide gap between the people is exactly what we have been looking to bridge. By listening to both sides of issues whose resolutions plague those who sit on Capitol Hill, we gain insight as to why others may think differently than we do. An integral aspect as to why the United States is able to make democracy work is freedom of press, as stated within the First Amendment of the Constitution. The people have a responsibility to stay informed in order to vote on important issues and those who represent us here in D.C., and the best way to do so is to pay attention to the news; however, even that has become controversial in this day and age, as many believe the news is reporting false information. This makes it hard to base any concrete arguments on facts reported on different media outlets, because one can easily find contradictory facts through another source that is more aligned with their political beliefs. The Newseum encapsulated all of these concepts in its exhibits, specifically the idea of freedom of press. While the United States is one of many Western Countries with free press, the media has recently been crucified by the current presidential administration. This is incredibly problematic because our nation’s voters are informed by who they trust to give them information, and when this information becomes partisan, compromise in the Capitol seems impossible to achieve. Feeling a little bit hopeless, I headed to the Air and Space museum with teen-plane-and-rocket expert Will Hess. We grabbed some lunch, then began to wander around and learn about the history of air and space travel throughout the world. The Space Race during the 1960s was the height of competitive rocket development between the United States and the USSR. These two nations were as diametrically opposed as they come during this time period. The American war on communism was centered around a pervasive sense of nationalism, which led to the Space Race. Americans wanted to prove that we are the superior company technologically, so the government and NASA aspired to beat the USSR at space-related milestones such as putting a rocket in space, putting a man in space, and putting a man on the moon. This head-to-head competition added fuel to the fire between the two larger entities in a Cold War: capitalists and communists. However, rocket-expert Will taught me about something that somehow changed my formerly hopeless view on politics. He took me to a rocket used in the Apollo Soyuz Test Project. I learned about how, despite their political differences, the USSR and the United States worked on launching a rocket together in the name of scientific progress. This joint project effectively ended the Space Race in 1975, and allowed for more collaboration and efficiency throughout the world astronomical community. I think we, as Americans, can learn from the Apollo Soyuz Test Project and can learn to compromise with our opposition for the greater good. This is precisely the message Etgar 36 attempts to emphasize through meetings with both sides of the aisle on pertinent issues. After the Smithsonian museums, we headed to the Holocaust museum. At the museum, there was an exhibit that spoke to me as a Jewish-American titled “Collaboration and Complicity during the Holocaust.” The exhibit spoke upon the importance of loving one’s neighbor and speaking out when others are in trouble. It also pertains to a less-extreme extent in politics in the United States today. We have a responsibility to stay informed and to take action against legislation and groups we oppose and to endorse those we support. From the museum, we headed to dinner, then watched the movie Dunkirk in 70mm on an especially large screen theater. The next morning, we met with AIPAC as our last meeting of our journey. 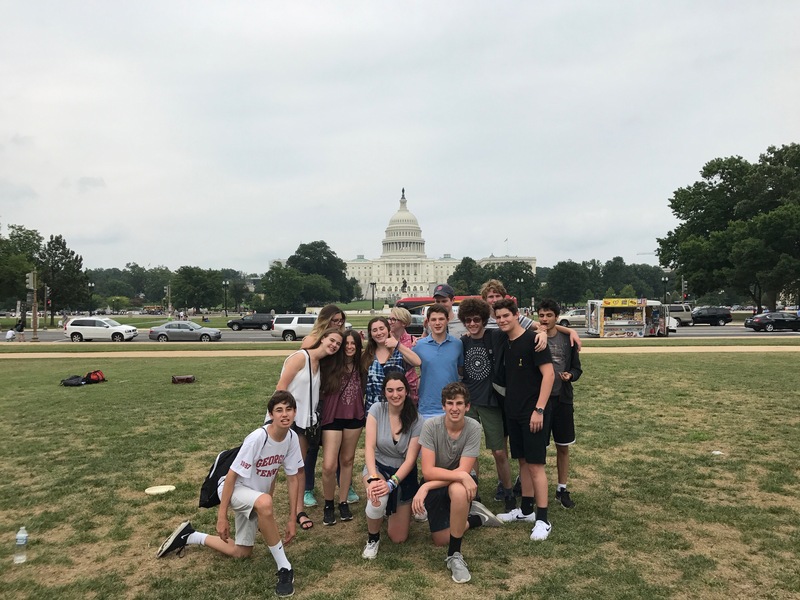 They spoke to us about the importance of staying active and vocal as young Jewish Americans, and to emphasize ties between Israel and the United States. 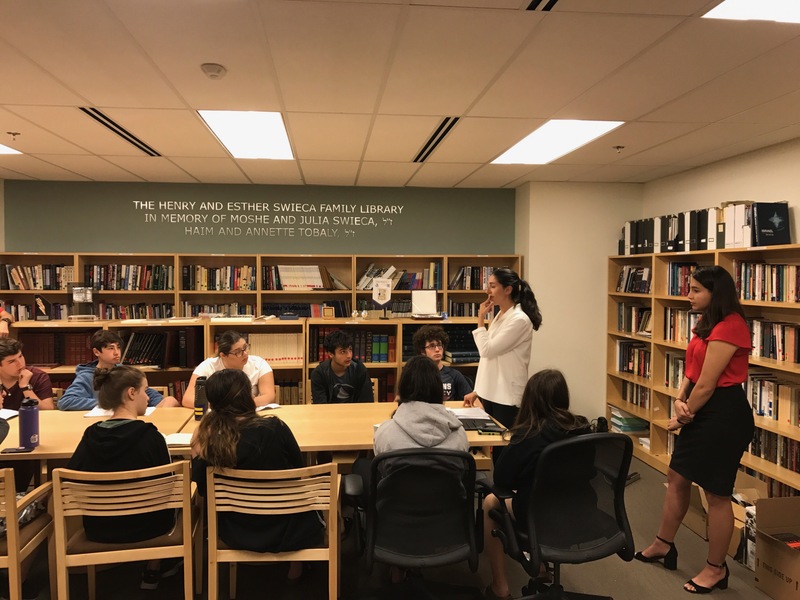 They provided plenty of information on how to become advocates for Israel in high school and eventually on our college campuses.